Please join me and the 23 Potters Place clay artisans at our cooperative studio’s annual spring show and sale! 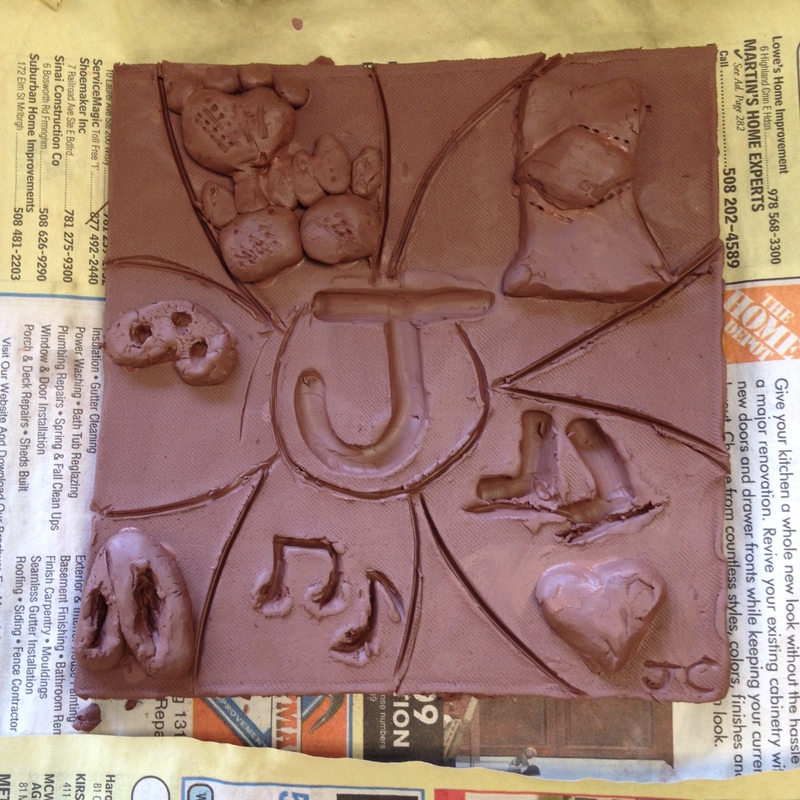 We’ll have hundreds of beautiful, hand-crafted, one-of-a kind pottery items available. The theme is “Spring Brings New Beginnings” and our Chairperson is Jeannette McGillicuddy, Co-Chairperson is Gay Calo. 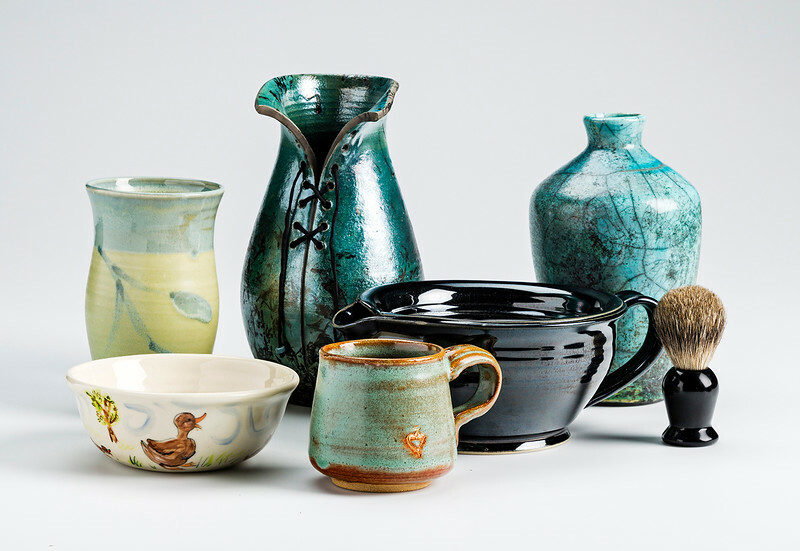 This Spring our potters will be donating special pieces and the proceeds will be given to the Animal Protection Center of Southeastern Massachusetts (APCSM). A Meet-the-Artists reception takes place Friday evening, where you can enjoy refreshments & meet the 23 featured Potters Place artisans. Free admission & parking are available and we accept credit & debit cards. Potters Place Member Pottery photographed by Dave Bradley. Lisa WB Walker “Prelude” vase is back left piece. 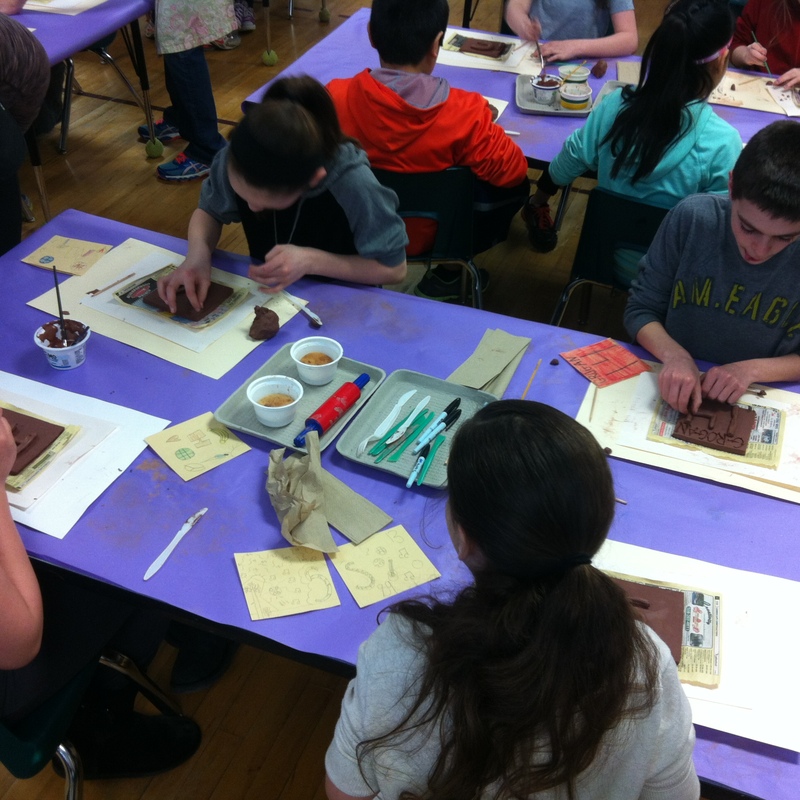 For the last few years, I’ve been accompanying my friend and fellow Potters Place potter, Susan Brum to elementary schools in Walpole to work on tiles with 5th grade students. 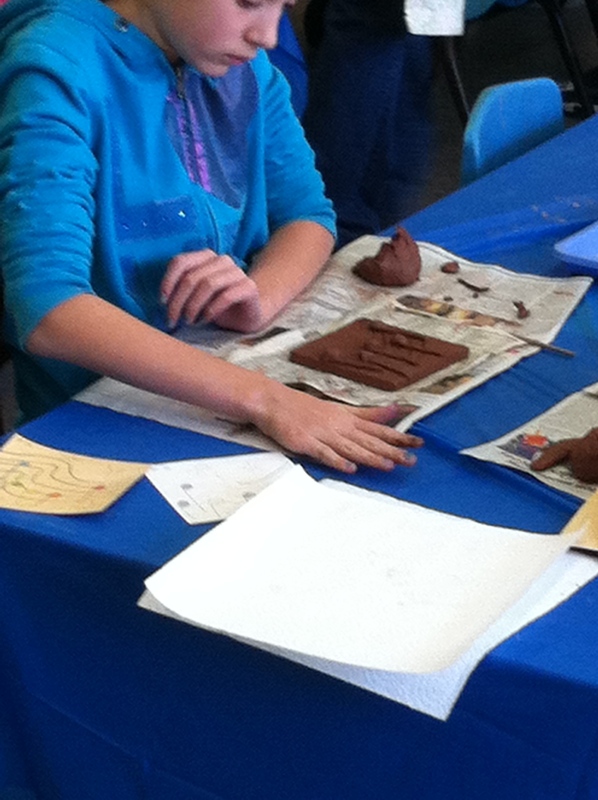 We work with the art teachers to help them realize their goal to have their students work with real clay. 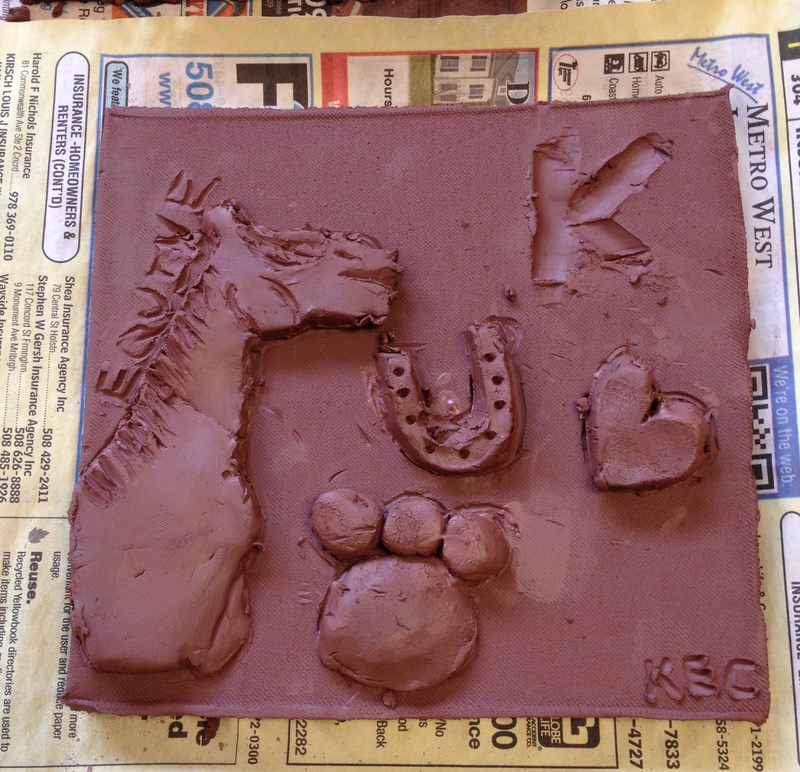 Prior to our arrival, students have worked on a layout for their tile. 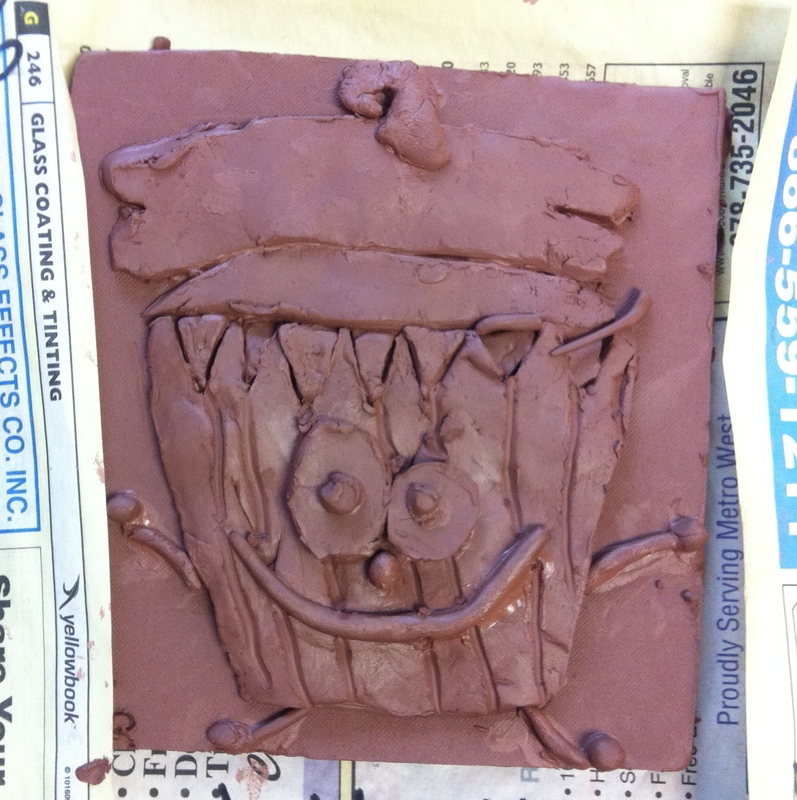 It is our job to teach them to transform their two dimensional drawing into a three dimensional tile. We visit each school twice. 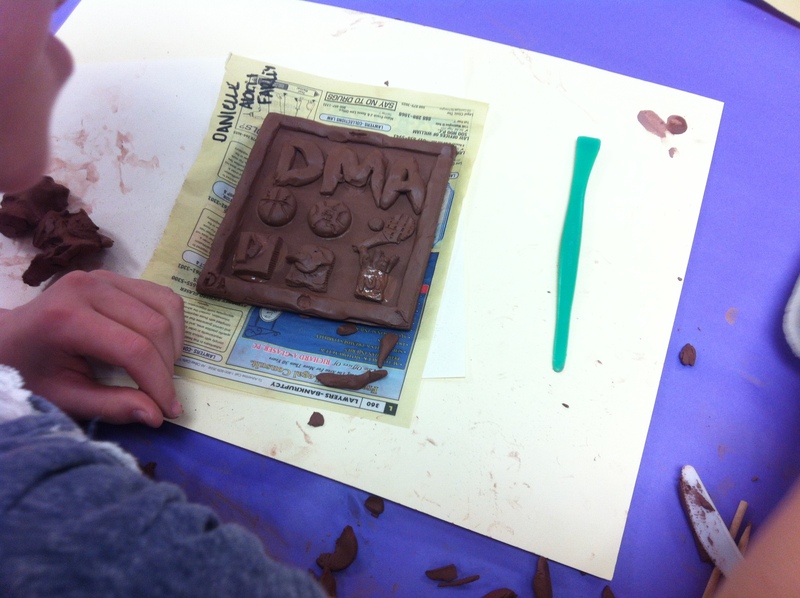 The first time, we instruct the students how to create their tile s. The second time we teach them how to use ceramic paints to add detail and finish off their pieces. 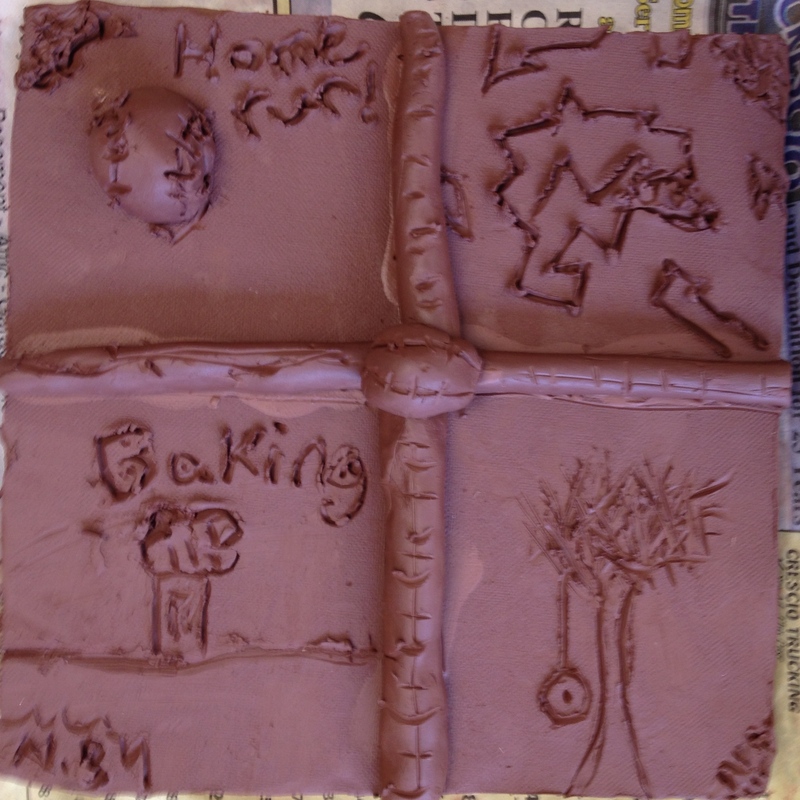 Sue and I hand cut all the tiles for the students from a low fire clay. 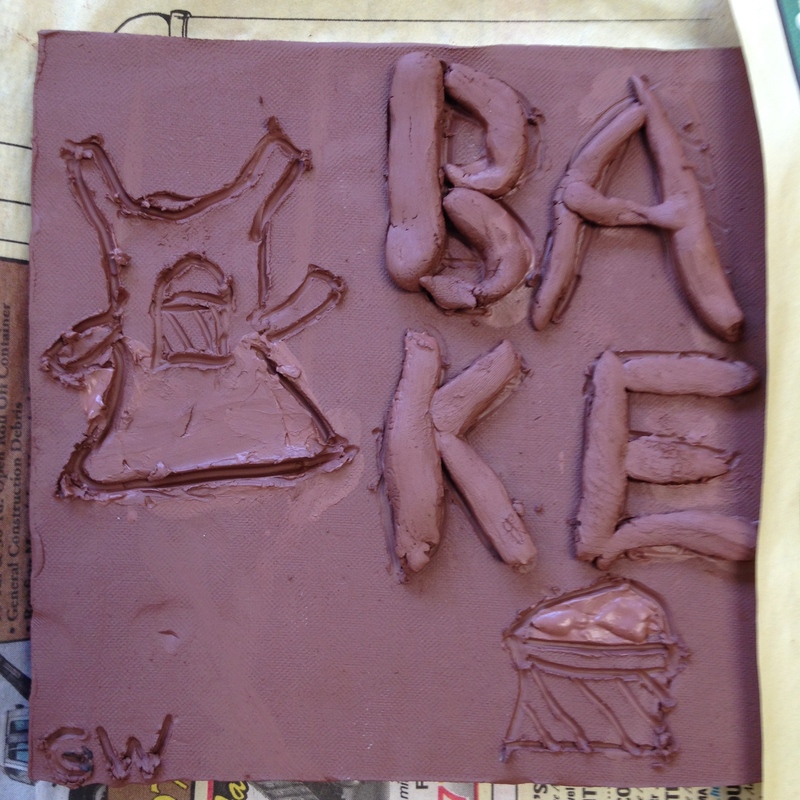 We make up slip and bring extra clay for each student. 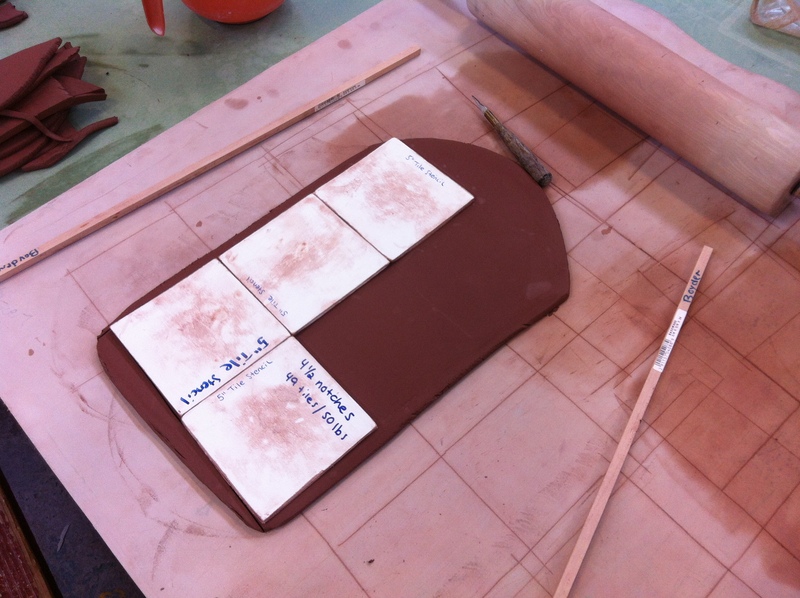 All this prep work takes place at our pottery studio: Potters Place. When we arrive at the schools, we work with each student to help them think about how to translate their work to the tile. 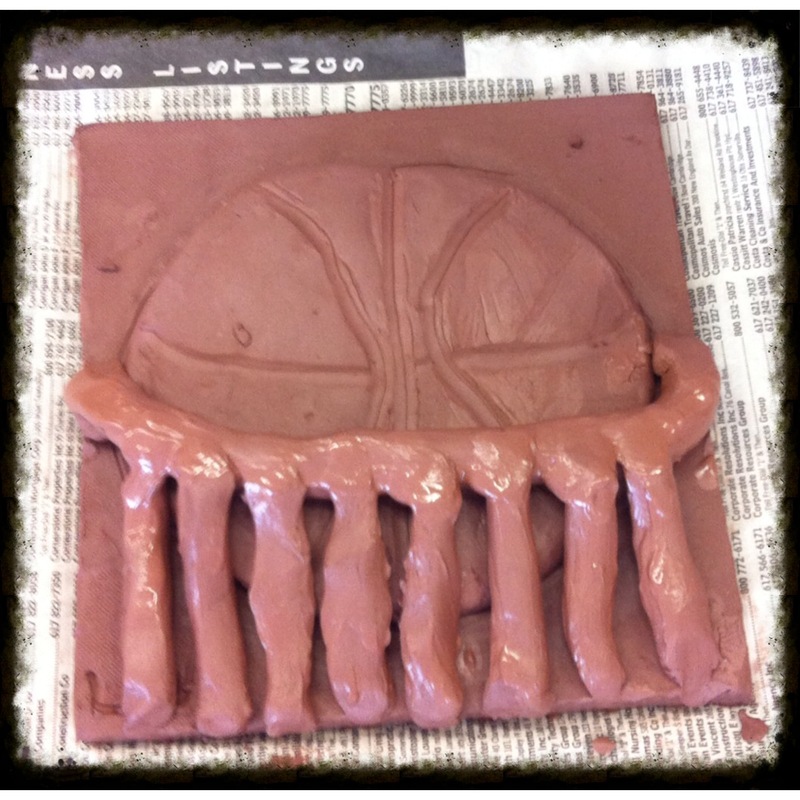 We teach them to slip and score, roll coils, incise and add. 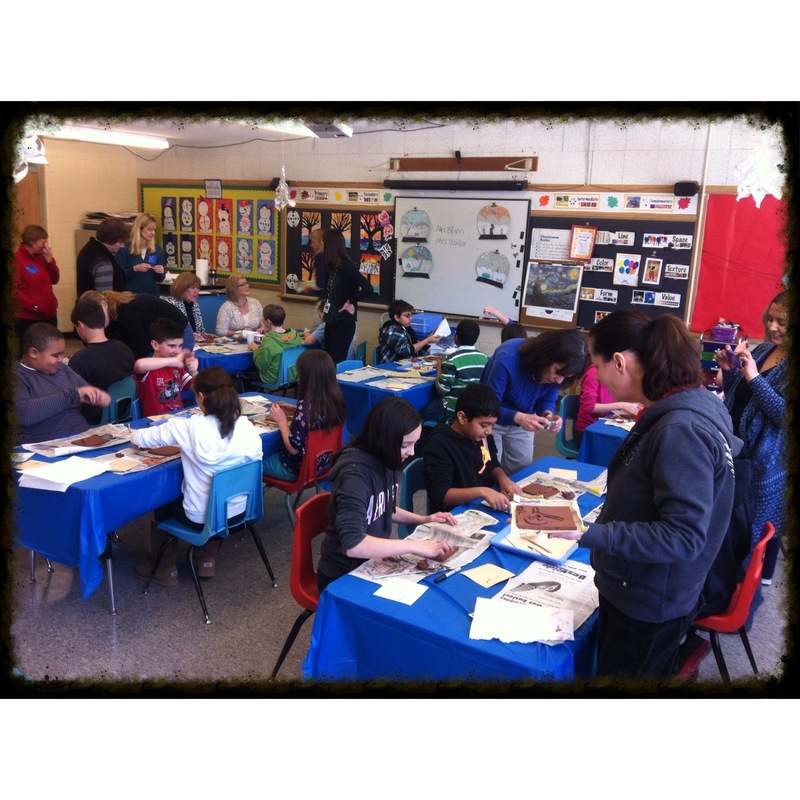 These subtractive and additive methods are the tools the students use. 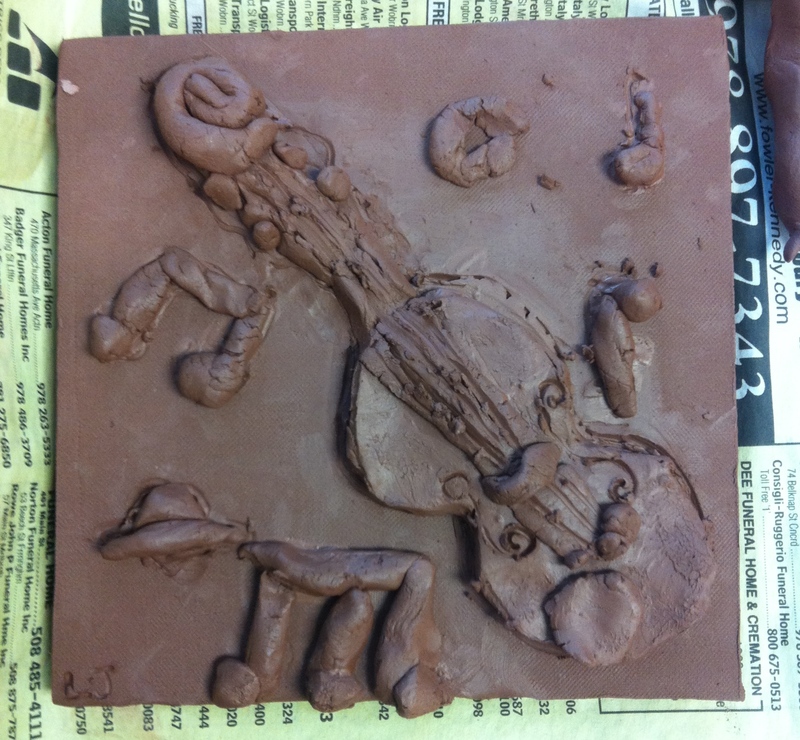 To find out more about Potters Place and how we share our love of clay with the community, click here. Next week we paint! Stay tuned! Pottery sale today at the Polley entrance to Bird Park in East Walpole in conjunction with Trustees of the Reservation Farm Stand – Food and Pottery ! The rain held off and I was able to participate in opening day for Bird Park’s first farm stand today with my fellow potter, Susan Brum. We featured functional pottery under our tent. 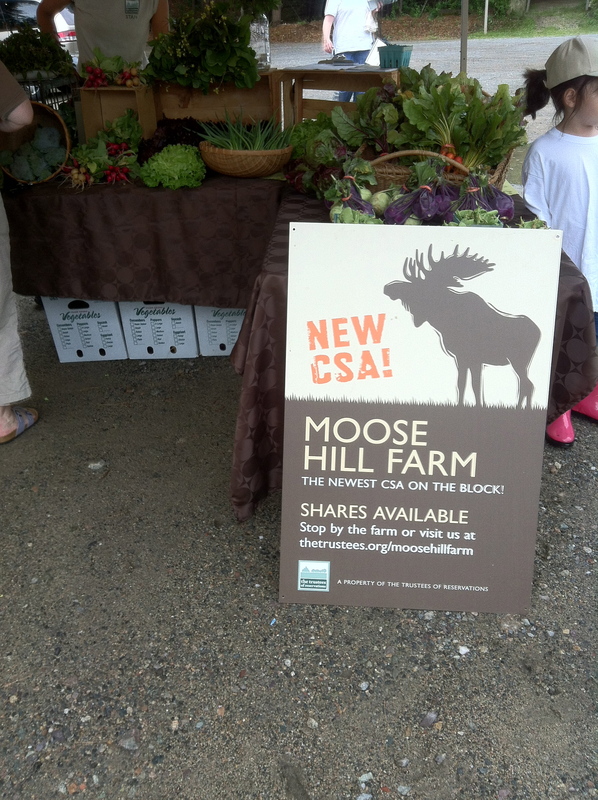 Moose Hill had a table set up with fresh veggies and an opportunity to join their CSA. It was a wonderful morning spent talking with customers and sharing the food and pottery connection. Moose Hill is a Trustees of the Reservation property as is Bird Park. 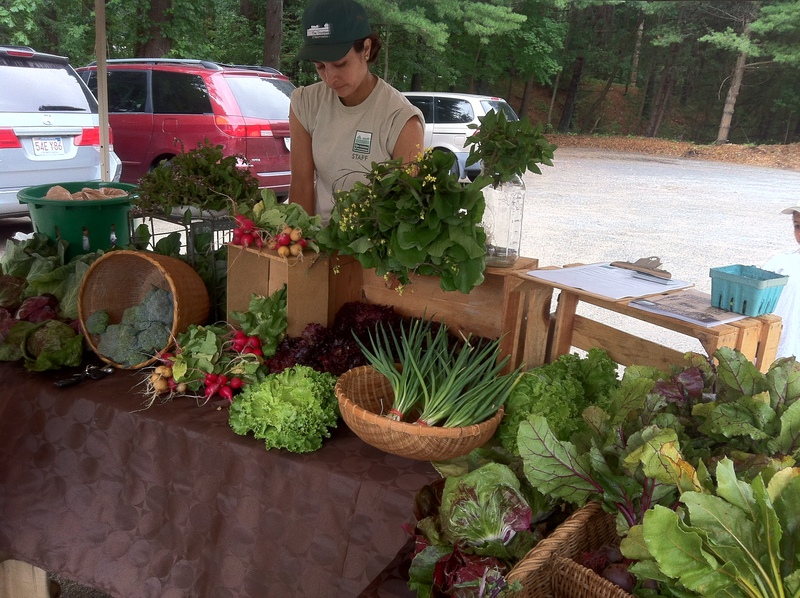 Their joined efforts brought the farm stand to East Walpole. It will be open from now until October 5th from 9-12 every Saturday.